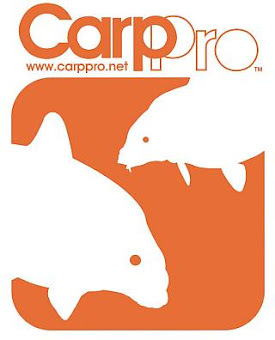 A couple of months ago RIO and CarpPro asked me to review the RIO Carp Line. 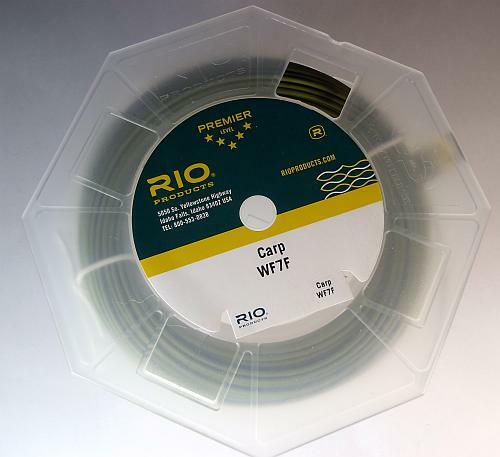 RIO's Carp Line is one of the few carp specific products currently on the market and for Fly-Carpin to not voice an opinion on it would be ridiculous. Besides, as I posted before, this was a chance at redemption. 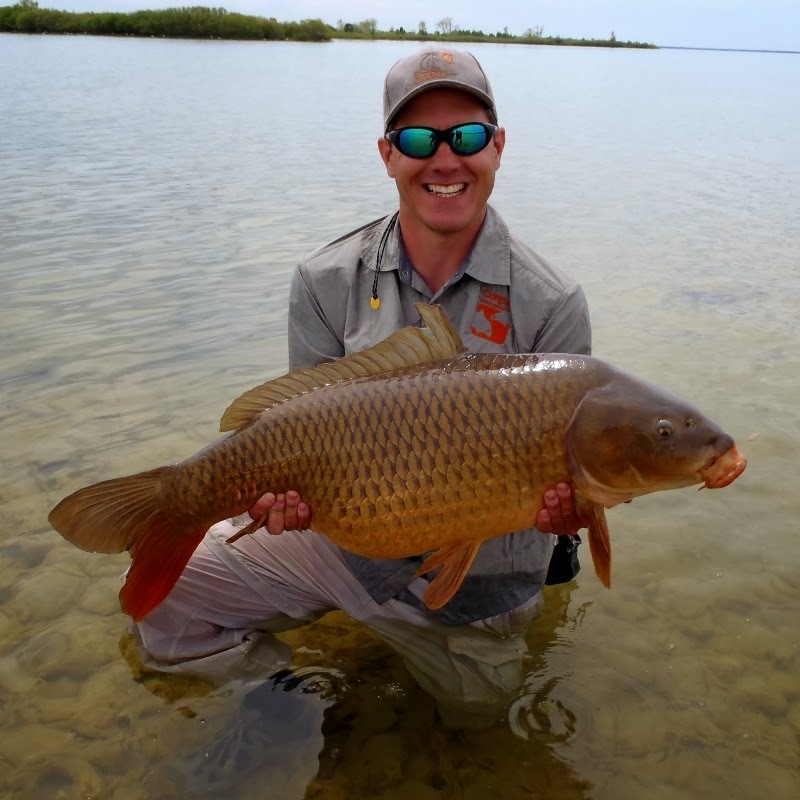 When looking at buying carp specific fly fishing gear I think you should probably ask yourself several key questions. Is the product actually going to give you a technical advantage? AKA is this going to help me catch carp? This is of course an impossible question to answer definitively. I can offer my opinion though and that is...it depends. Some help I am eh? Seriously though I think it depends on the situation. In my opinion they shaded this line towards overhand casting at mid to long range for flats style carpin. This line has a definite finesse feel to it with good precision and delicacy that will certainly help in this scenario. 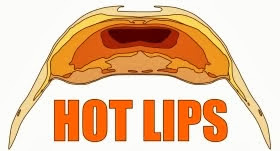 Since flats style carpin is what gives most people sugar plums dancing in their heads I think it was a great move. When you shade a products performance towards one area you typically give up performance in another area. The good news is that RIO didn't totally unbalance the performance of their carp line worshipping at the alter of the "Rocky Mountain Bonefish" nickname. 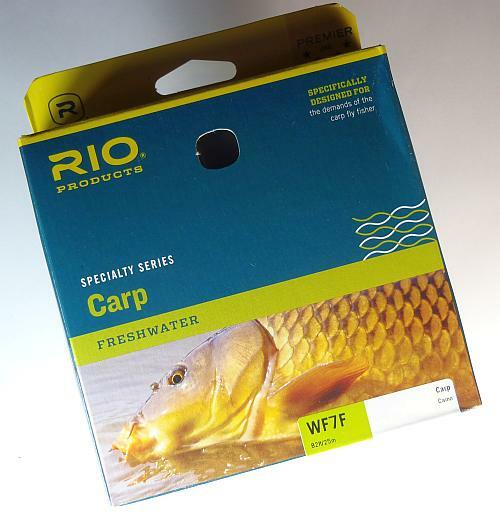 For the most part the RIO Carp Line performs acceptably for other presentations and scenarios. That is good because although I too harbor irrational dreams of being a tanned and muscular bro-ha poling a boat around a sunny flat, much of my carpin is less....less....glorious. I often utilize a mish-mash of non-traditional presentations in the short to mid-range that goes well beyond the traditional over-head cast. Flippin, skippin, floppin, lobbin, draggin and droppin baby. 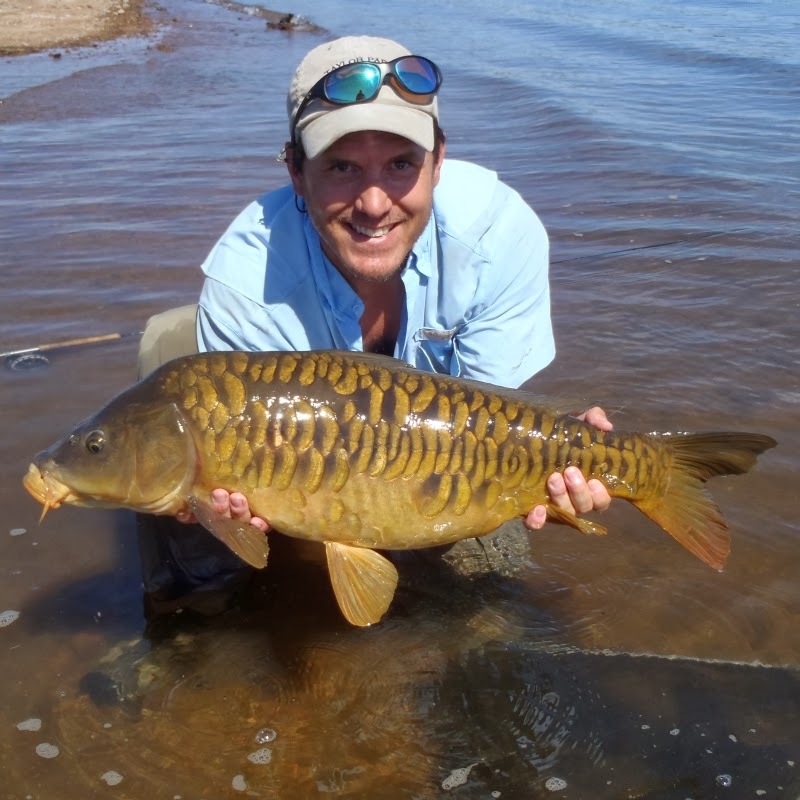 For most of these the RIO Carp performs fine. I had the most difficulty in the areas of roll-casting, single handed spey casting and line control during various drifting presentations. At first I had extreme difficulty with turn-over and timing on these kinds of presentations and they can be hyper critical on a river. The good news is that I got used to it. The other lines I am used to (RIO Gold and SA Expert Distance) require less rod-speed and different timing for these kinds of presentations and it simply took some time to adjust. The roll and spey casts need a little sharper and energetic stroke with the RIO Carp Line and line control takes different timing. In other words, a little annoying but something I can work around just fine. Now, for some circumstantial evidence. I first spooled the Carp Line in late October and have done pretty well since. As a matter of fact I have been on fire with six outings in November and December without getting skunked, a couple of 3 fish days and my personal best DSP carp at 22lbs. That is far from shabby this time of year, and may be one of my most impressive periods of carpin on the DSP. 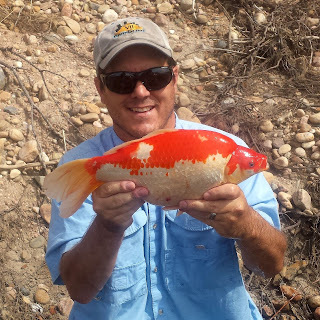 Can I say the RIO Carp Line is responsible for this hot-streak? Of course not. I can say for a fact that it has not hurt though. The line comes with a "cold water" formulation that has been perfect for my late fall escapades. I noticed no issues with the coating in air temps ranging from the low 80's (crazy this time of year) to mid 40's. This line comes with RIO's welded loops. This will save you roughly 20 minutes making your own loop or some frustration with a nail-knot and is pretty cool. The muted color is one of the advertised design features. I scoff at that a little because although a drab color is important I fail to see how it differentiates this line from at least half the non-carp lines available. Is the product going to bring you a confidence advantage? Personally, flies have a profound effect on my confidence. I enjoy fancy gear (aka rods, reels, lines) as much as the next guy but it does not affect my confidence even a smidge. Something about growing up fishing cool old hand-me-down bamboo rods and automatic reels held together with tape and bubblegum I suspect. That is not the case for everybody though and honestly I can understand. 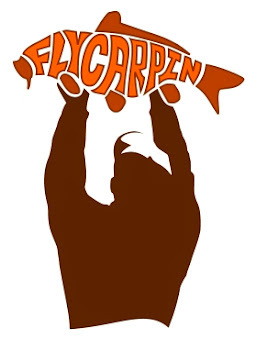 So yeah, I suspect that if you are starting out fly fishing for carp the RIO Carp Line might be a very good move. If you have to honestly concede that having that specialized bit of gear makes you more confident I would say go for it on that basis alone. 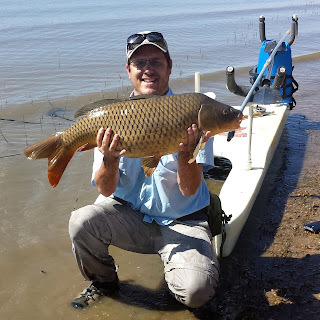 Simply stated being confident when you are fly fishing for carp is INVALUABLE. Is the simple fact that the product is labeled "carp" going to bring you pleasure? I mean, cmon, you are dealing with a dude that would wear a fly fishing for carp t-shirt to a wedding if he could pull it off. For me, the simple answer is YES. I like fishing a product with the word carp plastered on the side of it allot. I cannot deny that I find a small element of materialistic pleasure involved with fly fishing and this line feeds the need for me. I'm a keen follower of your blog, and have been ''into'' carp for some time myself. I've had a few free lines from Airflow to review and also find it difficult to be honest, and objective? Clearly a free line or two is very nice? But I really wonder if a carp line is really needed in this world of multi lines? As most poeple seem to use a 6# line in your part of the world for carp, there are simply endless lines that work. The S.A GPX is half a size over stated and is perfect for carp nymphs. The Rio Nymph line is also excellent too, as I say endless. Do we need another line for carp? Anyway thanks for the review, I expect a carp line will come my way at some time. And that is the million dollar question Richard. Do we really need any carp specific gear? Probably honestly no, but I do think that market diversification and stratification does have some clear benefits in that a vibrant and varied market ocassionally leads to breakthroughs. So, even though I am not sure if I "need" carp specific gear I wouldn't be surprised if something evolves in the next two or three years that we will all consider invaluable ten years from now. Well, that was an honest review. I also wonder if a "Carp" line is an essential item given the whole variety of lines out there. Still, if a newbie needed a line designed by carp nuts and it is out there his/her confidence factor would be sated, a good beginning. Experienced fly fisherman have favorites developed over time. Being a RIO fan myself I bet I would like this, maybe my next line when one is needed. RIO this year also reformulated their coatings, so there is always something new to look for. Sometimes I wonder if the coating and core isn't actually more important than the taper Gregg. Certainly the taper does not always seem to explain the silky "quality" feel you get comparing an expensive line to a cheapo. And I was very very ridiculously obnoxiously stubborn about fishing cheapos for a long time. That has only changed in the last two to three years for me. You nailed it with that confidence thing. Are you going to catch more carp with this line as opposed to, say, the GPX that Richard mentions above? Probably not. But if having a bonafide "carp" fly line makes you feel more prepared and confident on the flats or anywhere else, then it's worth the price of admission I think. I would make a bigger deal about it but 60 to 70 posts a year about confidence would get a little boring. There is no doubt in my mind that it is the most important thing. 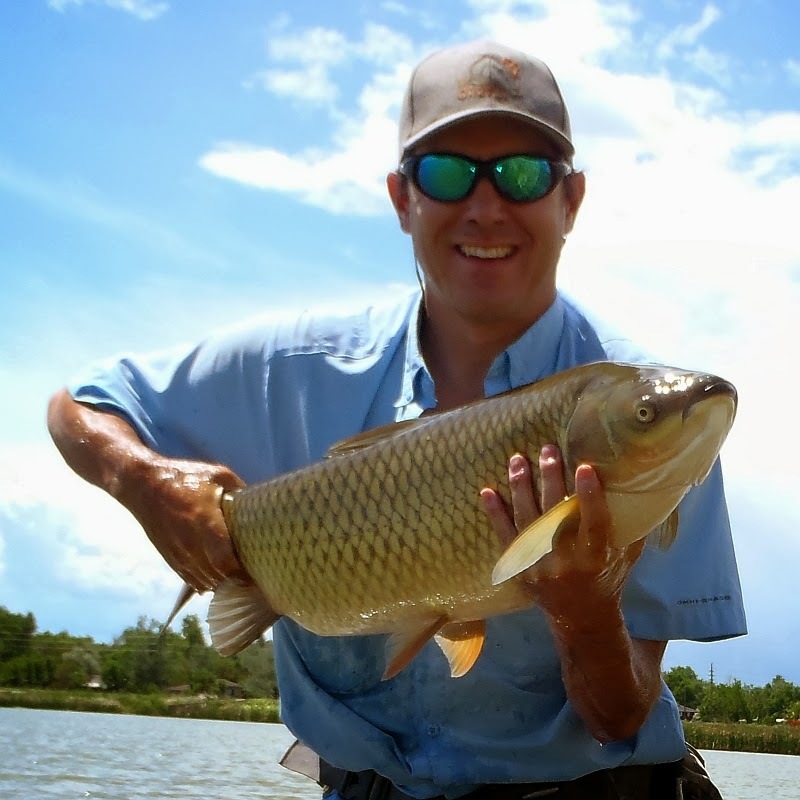 I think there maybe something important in having carp specific gear if the industry is going to evolve such that beginning flyfisherman are targeting carp. Having gear that is (at least) labeled carp appropriate should help direct new buyers to things that they need. I mean, after all... there is a BIG difference between saying that there are things out there that work as well and saying that EVERYTHING out there works as well. We've all taken time, energy and expense to experiment until we found lines labeled for one thing that were good for doing another... that's not a luxury everyone has nor is it an easy place to start if you are a beginner. That is a superb point Dan. It is so easy to forget that it is pretty easy to be intimidated by choices even at moderate experience levels. Branding can certainly remove some expensive guesswork at fifty to eighty bucks a guess. Every thing said is true,so great points. I'm pleased line design is going ahead into this wonderful (new) sport of fly fishing for carp. I don't know about you guys, but on any day I could be wanting a line to cast a little weighted nymph, or a little dry fly. I still think plenty of lines available today can do that. All this design costs money, not least the free lines we get to try for the maker?? I still think lines are too expensive in the first place, and now when I do buy one, it has to be a jack of all trades, and do it all?